In a job where you are constantly developing other people, one of the most difficult things to remember is to develop yourself. The better you are, the more effective you will be for your people. One of the main reasons I left my position as a local church student pastor to come to LifeWay is because I care deeply about student pastors. I love student ministry and the people God has called to lead in student ministry throughout the world. I want to see you succeed and lead a healthy student ministry in your context. That’s why we have this blog. It’s in that spirit that I’ve written this particular post, with the hope that we can be part of your development as a student pastor or youth worker. Practice spiritual disciplines. This more than anything else will determine your longevity in ministry. 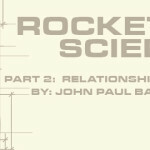 It’s not easy, but it’s not rocket science. Spend time with God through scripture and prayer, for yourself, not just your people. Too many times youth pastors slip into a mode (I know, I’ve been there) where the only time spent in God’s Word is done so while preparing to teach. Spending time with God in this manner will eventually turn your time with God into a job rather than a relationship. There are two books that have challenged deeply in this area: Richard Foster’s Celebration of Discipline and Donald Whitney’s Spiritual Disciplines. If you haven’t read them, you should. Before we move on to the rest, notice that I didn’t say “spiritual disciplines alone will determine your longevity in ministry.” While it is true that your own spiritual health is the most important, it isn’t the only thing you should focus on. People who are serious about their calling to ministry are serious about developing the whole person, not just one piece of it. The rest of these points will help you do that very thing. Read books. It drives me crazy when leaders tell me they don’t read anything. Every time I hear that I internally translate it to “I’m not interested in growing as a leader.” Full disclosure: I was that person for a time. It was a difficult habit to form, and it takes discipline to stick with it even today, but it is worth the effort. Why? Because God called you to leadership and for that reason alone you should honor Him by maximizing your ability to follow through with His calling on your life. If you aren’t reading, you are crippling your learning and you aren’t being a good steward of the leadership that God has given you. That may sound harsh, but it isn’t overstated. Each one of us who are leaders should be doing everything we can to learn from other people and one of the best ways to do that is by picking up a book. Make a list of books to read based on areas that you need to develop as a leader. Choose books from a variety of authors, including those outside the Christian category. Ask for help. As a leader there should be people in your life that you consider mentors. You need to have people that you can bounce ideas off of and ones that will speak honestly to you about areas of improvement. I recommend three distinct areas of mentorship: spiritual, family, and leadership. Sometimes you can get all three of those from one person, but I’ve found value in considering different people for each of these areas because of the varying points of view. Areas of improvement that one person will miss will be picked up by someone else. I would also recommend at least one of these people to be outside of your direct ministry area, or even outside your church if possible. Sometimes it’s just easier for you (and them) to be honest if there isn’t a direct connection to your role at the church. Stay in shape physically. Student ministry, when done well, takes a lot of energy and effort. You will work extremely hard and there will be times when you experience a great deal of stress. When you are in shape physically you will be able to handle these things much better. Discipline in one area of life spreads to discipline in others. You will be more effective and you will last longer in ministry when you are exercising and taking care of your body. 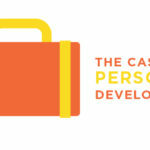 Choosing to take your personal development seriously is a lifelong pursuit. It takes time to build a habit, some would say 30-40 days of consistent activity. The great news is that you can start today. Set goals related to your personal development, share them with someone for accountability, and chase after them. Make them part of your prayer life asking that God would bless your efforts. 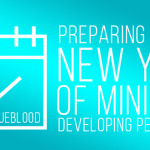 Longevity and effectiveness in ministry are won through a life of personal development. Start now!